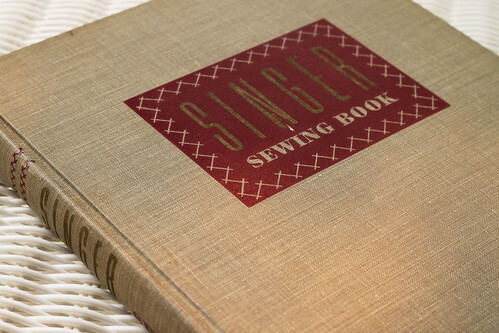 Mary Brooks Picken’s “Singer Sewing Book” of 1949 has everything anyone who sews would need to know. It is jammed packed with lots of practical information. 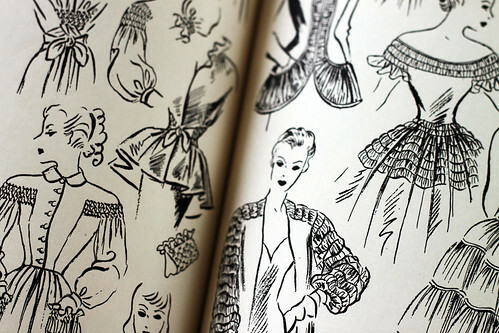 It even has detailed charts of color choices, both for apparel and home furnishings. 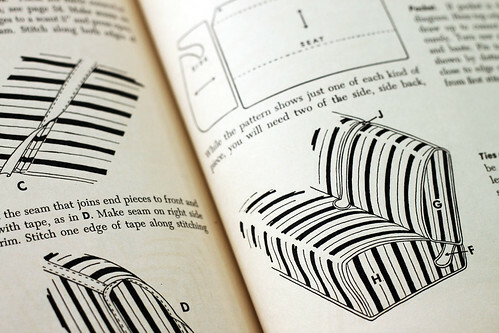 Here are a few sample pages from the book that I quickly photographed for today’s post. 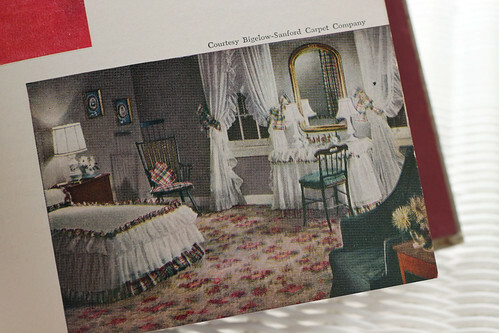 I always wanted a bedroom with organdy curtains, like the billowy curtains in the old black and white movies. Slip-covering car seats is an interesting idea. 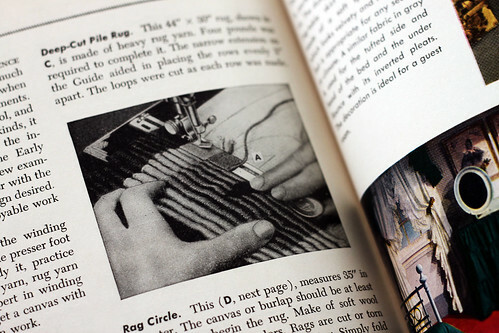 Finally, how to sew a rug using the rug sewing tool. I wonder if organdy is going to be on sale at JoAnn’s soon? This entry was posted on Thursday, September 3rd, 2009 at 3:00 am and is filed under Sewing. Tagged: Sewing. You can feed this entry. You can leave a response, or trackback from your own site. Looks at those tiny waists! Thank you for sharing the old books. 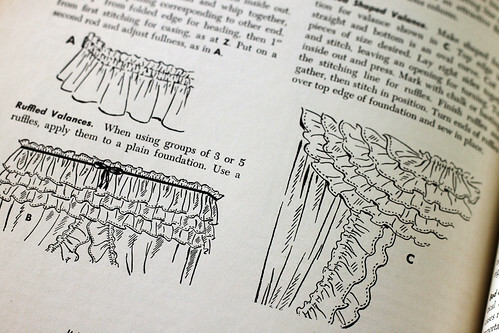 I have some McCall’s Needlecraft magazines from the 1940’s. There are wonderful ideas in there, also. 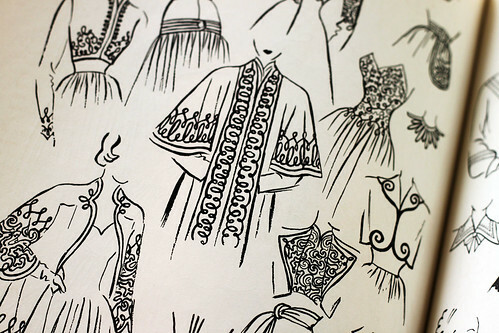 I might copy your idea and start featuring some of the vintage ideas on my blog. How is it with regard to the fires? Hi Sigrun, from what we hear the fires are moving away from homes. The smoke is still bad though. It is hard to describe how strangely orange the sunlight is filtering through the smoke. The forest is so vast, that is hard to explain too.